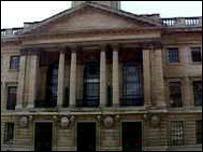 Hull City Council is the poorest performing authority in England, according to an independent watchdog. In a survey of 150 councils by the Audit Commission, Hull comes bottom of league tables and is rated as "poor". The commission recognises the council has made some progress in addressing problems but not enough to make any real difference to people in the city. Hull's new chief executive, Kim Ryley, said the council was now "putting its house in order." Joanna Killian, the Audit Commission's director of local government performance, said Hull has been the subject of attention from lots of regulators for two or three years. "Although it is making progress it is not just good enough." she continued. "With a new chief executive and a bit more focus there are some prospects for improvement but many other councils have raced ahead of them and there is a long way to go." Out of marks of four, Hull scored just one point for its education and housing services and its ability to improve. It received a two for its overall service and three for its social care of adults and children, use of resources, environment, benefits and libraries and leisure services. Ms Killian added: "If there is not any progress in the next 12 or 18 months the commission can refer Hull, like any other council, for action by the government or it can receive additional support." Mr Ryley started worked at the Labour-run authority last month. "This is now an organisation with enormous potential to make rapid progress over the next 12 months or so," he claimed. "There is a real ambition to deliver visible and lasting improvements quickly for local people and an increasing confidence in our ability to be successful in making these changes happen." Council leader Colin Inglis: "We know that 2005 will be a testing time for the council but we have ambitious plans for the transformation of Hull." Elsewhere, both North Lincolnshire and East Riding councils are classed as "excellent" performers while North East Lincolnshire is still considered "weak".